Diane Arbus brings to life the full story of one of the greatest American artists of the twentieth century, a visionary who revolutionized photography and altered the course of contemporary art with her striking, now iconic images. Arbus comes startlingly to life here, a strong-minded child of unnerving originality who grew into a formidable artist. Arresting, unsettling, and poignant, her photographs stick in our minds. Why did these people fascinate her? And what was it about her that captivated them? It is impossible to understand the transfixing power of Arbus's photographs without understanding her life story. 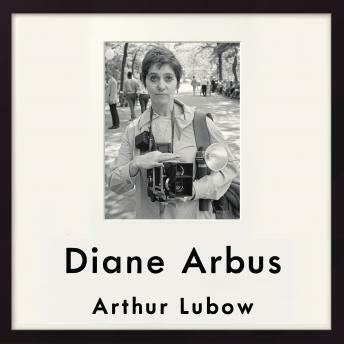 Arthur Lubow draws on exclusive interviews with Arbus's friends, lovers, and colleagues to explore her unique perspective. He deftly traces Arbus's development from a wealthy, sexually precocious free spirit into first a successful New York fashion photographer, and then a singular artist who coaxed hidden truths from her subjects. Lubow reveals that Arbus's profound need not only to see her subjects but to be seen by them drove her to forge unusually close bonds with these people, helping her discover the fantasies, pain, and heroism within each of them.